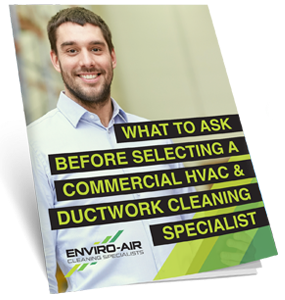 With more than 20 years of combined experience, Enviro-Air Cleaning Specialists’ knowledgeable. NADCA-certified technicians provide specialized air quality and industrial cleaning services. We value each client and respect their time and budget. Enviro-Air Cleaning Specialists delivers detailed and timely solutions with professionalism and care. Clients can expect exceptional service stemming from our core calues: Professionalism, Integrity, Service, Innovation and Quality. Please describe the service you are looking for that is not listed above.